There’s no single recipe for developing a sound business plan. Keeping in mind that flexibility is key to formulating a winning strategy, some of the methods put in place by wood products companies include diversification of product lines, outsourcing, and conversely, insourcing. Read more profitable strategies. 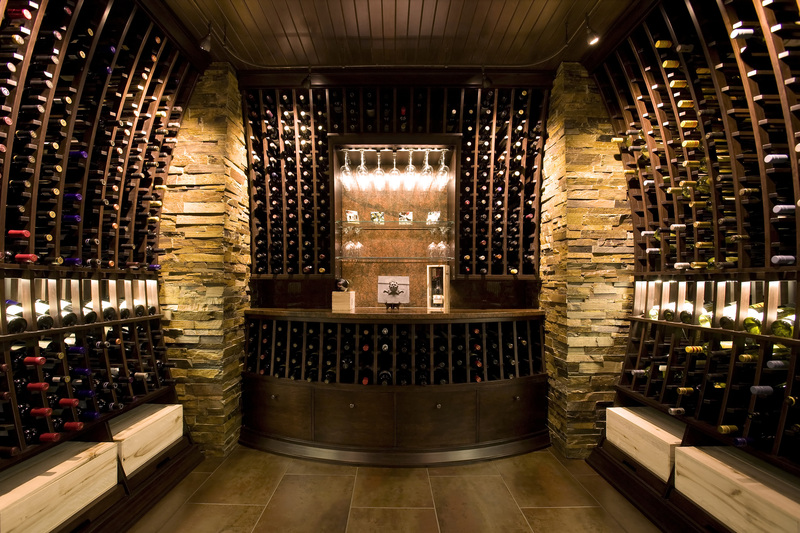 acpi, Colony, TX — Formerly Armstrong Cabinets, acpi is making a name for itself manufacturing and distributing cabinetry nationwide under the Echelon Cabinetry and Advanta Cabinets brand names. “We’ve created a science of making a cabinet,” CFO/COO Walter Cisowski tells Woodworking Network. The successful formula, he says, consists of one part technology mixed with one part systems, and a large dose of dedicated employees. Building on its success, acpi is expanding its product lines which are targeted to the multifamily market. In 2015 acpi launched the Studio Full Access frameless cabinet series, produced in a new, dedicated, state-of-the art facility in Thompsontown, PA.
George Guenzler & Sons, Kitchener, ON — Product diversification is one of the key strategies behind the success of the components manufacturer. President Barry Freiburger says the diversity was done to offset recessionary impact as well as competition from low-cost imports. Once predominantly a supplier of residential furniture components, the company diversified its capabilities and now manufactures for eight market segments. “My philosophy has been to not develop our business like a three-legged stool, but an eight-legged one,” he says. 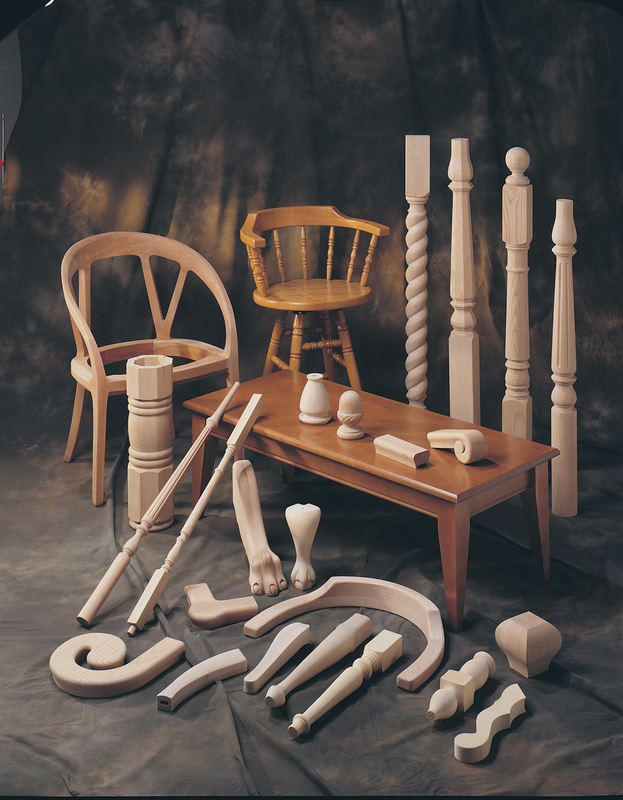 Adding “another leg” and further stabilizing the stool was the July 2014 acquisition of Master Craft Wood Turnings, a producer of knobs, plugs, dowel rods and specialty items. The 75,000-square-foot plant is highly flexible. Along with small batch processing for immediate shipment, Guenzler also produces product for Kanban (scheduling/stock replenishment on some high production items). Versatile Cabinet & Solid Surface, Logansport, IN — “Versatile” is an apt name for this commercial cabinetry, millwork and countertop firm. “It says a lot about our approach to business,” says Owner Mike Murray. [We] also cut parts on our Thermwood for other cabinet shops and sign companies, along with a few other projects for fun that the occasion inventor or specialty fabricator might ask us to help with,” he says. “Research and development into new products, plus a focus on employee education and skill enhancement,” says President Todd Wegman, helped spur sales to a 6.5% rise in 2014. A manufacturer of quality casework, architectural millwork and laminated panels, Stevens also offers specialty lines of lab furniture, music and instrument storage, and childcare furniture. Sales grew 3.6% at the firm, which specializes in standard and custom church furniture. “We strive to always look for new ways to streamline our process, reduce inventory and control costs,” says Ryan Back, vice president of manufacturing. “We attend the woodworking shows each year looking for machinery and new ideas to help us be more efficient. We also work closely with vendors to stay on top of current market trends and help us with ideas for improving our products and processes,” he adds. 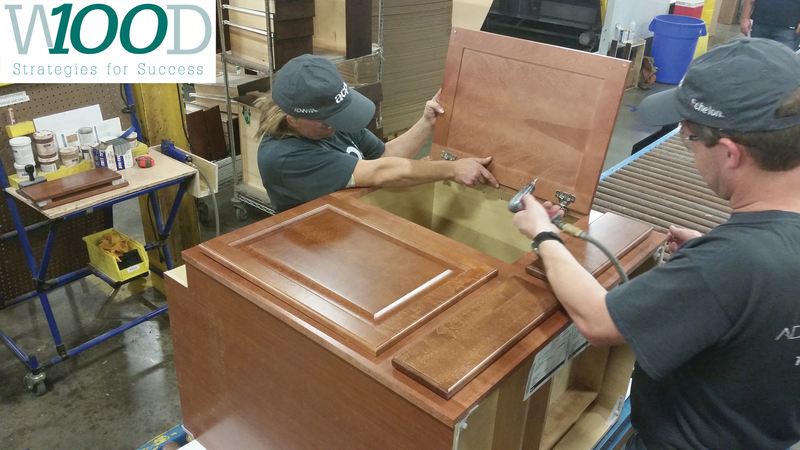 Obtaining and retaining good employees is key to success, and the high-end custom furniture and cabinetry shop has done just that, posting 2014 sales gains of 33.3%. Along with buying land with a larger, renovated shop, Owner Stephen Culham, says he also “hired more educated and/or very experienced journeymen and paid higher wages. 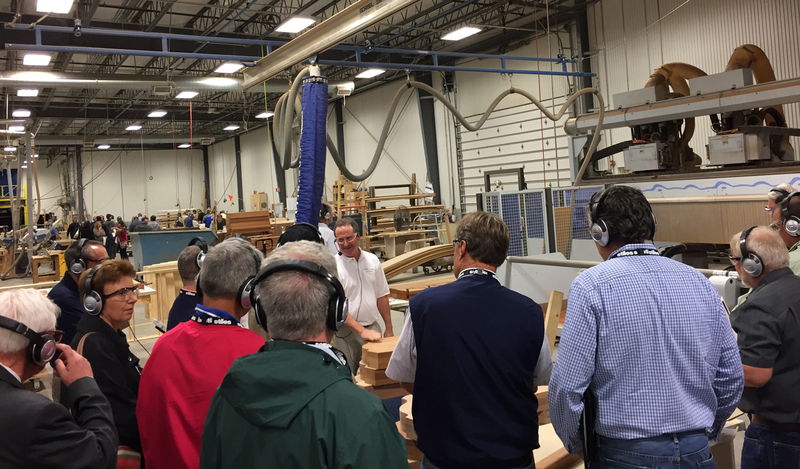 Project Manager Mike Wright credits the company’s employees with contributing to the high-end stair and millwork manufacturer’s success. “I initiated a skill building program featuring cross training of younger personnel,” says Wright. The firm also hired “highly skilled individuals to fill gaps in the experience level of our fabricators and installers.” Rock Woodworks saw 4.0% sales growth in 2014. As the new construction and remodeling markets have grown, so too has the MDF and LDF moulding and millwork firm’s business. Along with investments in some new equipment, “We built a brand new 90,000-square-foot production facility located right next to our main raw material supplier,” says Bristol Feeney, sales manager. Sales grew 8.4%. The longtime residential furniture maker acquired Karges Furniture, which had also been producing furniture for more than 100 years. Not stopping there, in 2015 it expanded its offerings with the acquisition of Councill Co. Diversification is the key to Kent Untermann’s success, who along with his wife Lori own the multi-faceted Plus Interiors, which produces mass-customized picture frames, custom cabinetry and more. Plus Interiors is under the umbrella of The Art Source, which also includes closet and door franchises, a design studio and stores. The lumber products firm acquired a facility in Kentucky and expanded its drying and warehouse space. “[We also] focused on expanding into international markets through attending more trade shows, hired apt salespeople to broaden our reach domestically and globally, and improved on our use of technology and updated facilities and tools,” says Dahli Durley, intl sales & purchasing. Sales grew 23.1%. Brent Mercke saw a need for custom stairs and railings, and filled it. That was 28 years ago and the firm is still going strong. Key in that success has been the skilled employees — and their input — at the 80,000-square-foot plant, says Lindsay Paice, sales rep. The furniture maker completed a supply chain transformation, resulting in a decrease in lead times and costs, while successfully reshoring Asian-sourced products back to the U.S. MityLite received a Manufacturing Leadership Award from Frost & Sullivan for its efforts. The closets and home organization firm recently opened its third franchise, this time in South Carolina. “Word of mouth and some great publicity continue to generate interest beyond our present locations in New Jersey and Philadelphia,” says Joe Lonardo, founder and CEO. Bella was also in the 2014 WOOD 100.